It cannot be denied that mortgage interest rates are very low at present. And yes, the prices of houses are still low enough to be very interesting. However, this does not mean that any home you come across would make a good investment. Yes, we are currently in a buyer’s market. However, you do have to exert due diligence before you buy. The potential issues you may uncover when researching a property could be serious. Some of these are fixable, others tell you to look elsewhere. Two things are of particular importance in terms of red flags. Start by checking out the neighborhood. Does it look like everybody is leaving? Talk to your potential new neighbors and ask what the area is like. Also check out the land. If you notice that the yard is on a downwards slope towards the property, the foundations could be affected by rain water. If you notice any bad smells, there is generally something amiss. Also look for bugs and insects. This is also something to ask others in the neighborhood about as they are likely to know all about past insect, rodent or other pests problems. You should now look at the property itself and how it was treated. Check the property for maintenance as well. If it looks run down from the outside, it is likely that the inside isn’t in a much better condition either. Also, look at the wiring. Although you probably won’t be able to identify all of the problems yourself, some red flags are easy to spot. If lights flicker or outlets are warm, there is a chance that the wiring is faulty. Owners may be trying to hide a problem if you notice that single walls have been painted very recently. Next, look closely at the windows. If there are signs of condensation or windows don’t open properly, it could be a sign of serious damage that will cost you a lot to repair.Never even consider purchasing a property that you cannot see in full. Additionally, if you notice that any structural work has been done, such as the removal of walls or floors, you need to find out whether that work was done properly by a qualified architect. 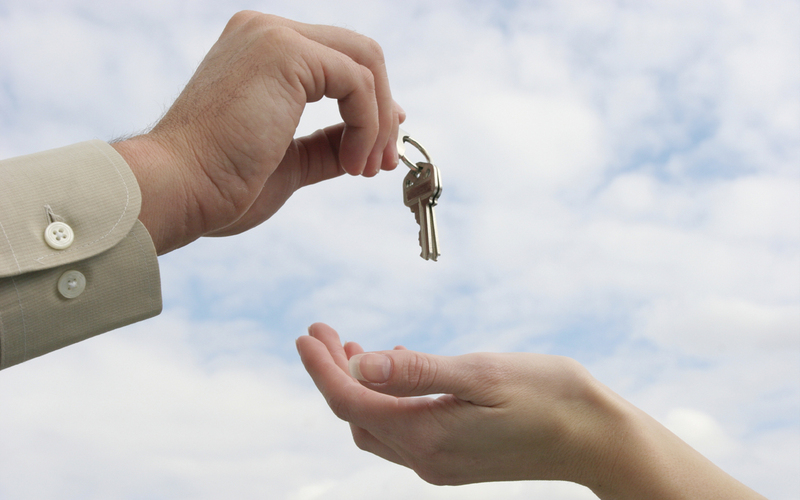 At the end of the day, only you can decide whether or not you should purchase a property. It is also true that if you are looking for a true bargain, then a house with problems is what you are looking for. However, if you find you have purchased a true money pit property, or that it is impossible to sell it at a later date, then is it really worth it? Homes, whether purchased as an investment or not, are places for people to live in, which means they have to be inhabitable. Naturally, you do also have to look at the property itself, but the importance of looking into the neighborhood cannot be denied either. All you really have to do in order to find out whether the property itself is any good is hire a property inspector. When it comes to the neighborhood, however, you need to have a personal feel, something that cannot be achieved by a check box list. When someone tries to sell their home, they do not always tell the whole truth. Although a professional inspector would pick up on any problem, it is expensive to hire one for each viewing. But don’t worry because a potential buyer like you can do a bit of inspecting yourself and here are indicators showing what house to avoid buying. First of all, check the neighborhood. This is of absolute vital importance. Find out whether the community is going through growth, or whether it is declining. If you notice many homes are being foreclosed and local businesses are closing, then the community is declining. Experts say that it is best to visit the same neighborhood at different times and on different days. This is also a great opportunity for you to get to know the traffic. Don’t forget to schedule one evening visit, to see whether there is nuisance on the streets at night. Also make sure that you get a local crime report from the police. You are now ready to see whether the property was looked after properly. Find out whether it was maintained properly. If you find that the owners haven’t look after the outside properly, the inside is likely to be the same. Always look at the wiring too. Although you probably won’t be able to identify all of the problems yourself, some red flags are easy to spot. For instance, flickering lights and hot or warm outlets are signs of a bigger problem. Owners may be trying to hide a problem if you notice that single walls have been painted very recently. Check the windows. Windows that have mold or condensation or that open with difficulty may be signs of very expensive problems.Naturally, never view a property that you are not allowed to see in full. If any structural work has been done on the property, you need to make sure that it was done by someone who was fully qualified to do this. When push comes to shove, you are the only one who can work out whether or not you want to purchase a property. Plus, it is certainly true that a home with problems is often a home that can be sold at an even greater discount. However, if you find you have purchased a true money pit property, or that it is impossible to sell it at a later date, then is it really worth it? Do always remember that a house is more than just bricks and mortar, but rather a place for people to build memories in, and those should be good memories. It goes without saying that checking the condition of the property itself is very important, but the area it is in must be focused on as well. To check on the actual property, all you really need to do is hire the services of a property inspector. This is different than a neighborhood inspection, which really requires a personal opinion and feel, something that only you can do and decide upon. It is likely that your home is your most significant asset. Hence, if you ever want to sell that particular asset, you have a lot of thinking to do. Take your time to learn about the process of selling a home first. Thankfully, all you need to do is look online and you will find any information you need. Take some time to learn about the process as it will help you reduce the stress associated with it, control it better and ensure you get top dollar for your home. Let’s take a look at a few of the things you need to think about before you are ready to make a sale, which should help you get the best possible price. First of all, appearance really matters. Never ignore the cosmetic look of your property if you want to sell it. You can’t change where your home is located, or what its floor plan is, but you can change its appearance. Remember that buyers are driven by emotions rather than logic, so if your home looks and feels right, you have a bigger chance of making that sale. Also remember that this must be invoked in all the senses. Next, you have to make sure that your motivation is a private affair. It is all too easy to use your motivation against you, particularly if your potential buyer is supported by a smart realtor. People may ask why you want to sell, in which case you should try to be as obtuse as possible. Tell them, for instance, that your needs have changed. This is just vague enough to be the perfect answer. It has been shown psychologically that people will interpret these answers in a positive light that works for them. They will think that you came into a bit of money and want to move to something bigger, for instance. Or they may think your kids have left the home and you are looking to downsize. Either way, people will always believe that you have a genuine reason for a sale that is not financially motivated. Last but not least, get ready to clean up. Every surface must be properly cleaned. You are going to get filthy yourself, but it needs to be done and you can also start to get rid of all the clutter, which you have to do before you move anyway. Your goal is to ensure your home is a true show home. Hence, you have to check the outside of the home, too. Your goal is to have a clean yard with a nicely mowed lawn free from weeds, and properly pruned trees and bushes. Remember that the outside of your home is what will create the first impression. And don’t forget that you only get one chance to make that first impression. All being well, the above tips will help you to make a sale quickly and for a great price.